So full of history. So full of smile. So full of myth. 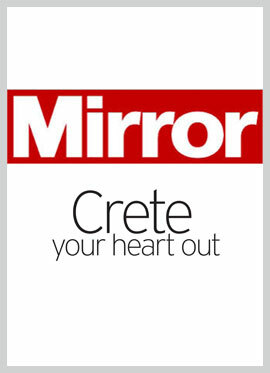 It is all in Creta Palace! 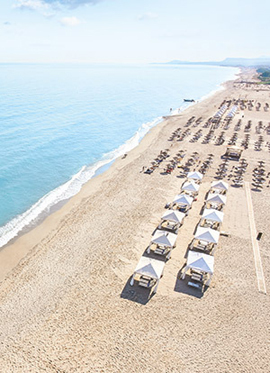 An endless white sandy beach, clear blue waters and lush tropical gardens with pools under the Cretan sun. A restaurant which reaches for the stars. 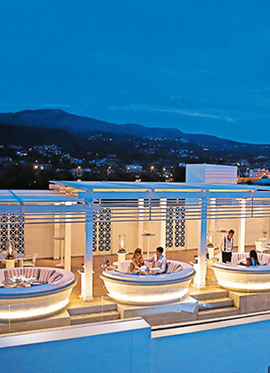 Chic rooftop bar & restaurant with eclectic finger food & designer cocktails. 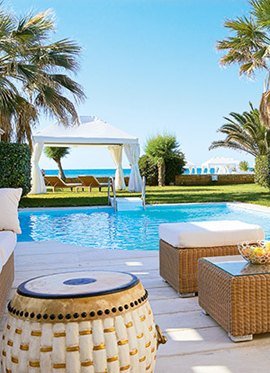 From the designer interiors, private pools and waterfront villas to the personalized services make a Famous Class vacation a one in a million experience. 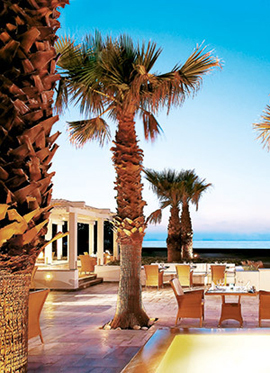 Savour the catch of the day and succulent seafood in the alfresco dining area next to the lapping waves. Step into a 2.000m² amazing temple of touch and aroma, where time is left behind and a new journey begins. Children learn best through play! A fun way for kids to discover the mysteries of our fragile planet. 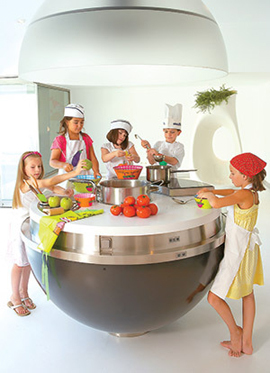 A dream destination for children with its Grecoland club, kids' pool with waterslides and the summer camp including NEW Valencia Soccer School, NEW Inline skating, NEW Basketball academy, English lessons, Be a model academy & more. 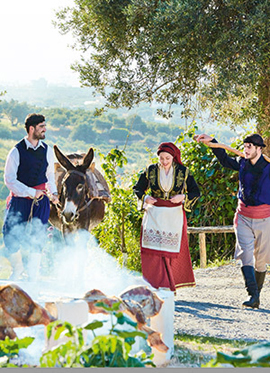 Crete your heart out - "A stay at luxury Grecotel Creta Palace and Spa is a feast for the senses..."
Play “Farmer for the Day” in Agreco traditional farm and learn just how it feels to make and eat home-made traditional Cretan food.